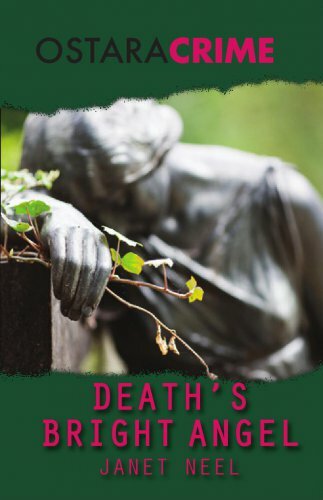 Winner of the Crime Writers’ Association’s John Creasey Award for best first crime novel in 1988, Janet Neel’s Death’s Bright Angel took the traditional English detective story and placed it in a realistic, often cut-throat, setting of modern business and government intervention. In doing so, she created an endearing pair of investigators – high-flying Department of Trade civil servant Francesca Wilson and CID Inspector John McLeish – whose relationship and romance was to flourish over the course of seven novels. Janet Neel qualified as a solicitor after taking a law degree at Cambridge. She moved into industrial relations with the Department of Trade and Industry and has been a director of several public companies, including the London Stock Exchange. From 1994 to 1999 she was a governor of the BBC and in 2000 received a life peerage. She sits in the House of Lords as Baroness Cohen of Pimlico and is an active organiser of the Parliament Choir. She lives in Cambridge and is the current Chairman of the Arts Theatre.